West Virginia is filled with treasures, from the Appalachian Mountains to Civil War battlefields. As an Eastern State, it’s awash with historical sites, breathtaking views, and fun, quirky attractions. You probably know what that means – West Virginia is the perfect place for RV road trips! With so much to offer, it’s no surprise that this marvelous state draws campers from all over. How can you know where to visit first though? Well, if you’ve come looking for West Virginia RV trip ideas, you’ve come to the right place; we’ve put together this RV trip planner that lets you compare and contrast some of the top attractions in the entire state! We’ve got to warn you though, after reading this list, you might not be able to resist packing up and heading towards the Mountain State! We’ll start out our list with a destination that is without a doubt, one of the best places West Virginia has for RV trips with kids. 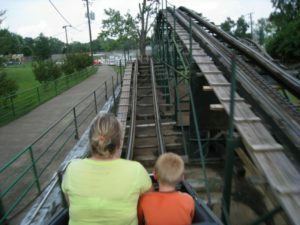 Camden Park is a family-friendly amusement park that’s been serving up fun to the Huntington area for over 100 years! Some of the favorites out of the 30+ rides and attractions at the park are the spooky haunted house, the dizzying tilt-a-whirl ride, and the thrilling log flume. Little ones won’t have to miss out on the fun either; there are a number of rides designed specifically with them in mind. The carousel, dune buggies, and sky fighters are all sure to keep kids smiling all day long! After a long day of excitement, you can take a seat and enjoy some great food at the West Virginia Grille, or grab some traditional amusement park food to go! Fox Fire KOA is one of the best campgrounds within half an hour of Camden Park. Sites tend to average around $45 per night. Staying at this KOA allows you to enjoy plenty of amenities that will keep you comfortable and entertained, including WiFi, cable tv, and full hookups. Fishing, a swimming pond and sandy beach, a basketball hoop, movie nights, and more are available to keep you entertained even when you’re not visiting the theme park! Have you ever wished you could get a closer look at our country’s beautiful and powerful wildlife? The West Virginia State Wildlife Center lets you do just that! Wildlife native to the state can be admired through a 1.25-mile interpretive trail, and it’s wheelchair accessible so no one has to miss out! This zoological park presents large enclosures that ensure the animals are happy and lets them behave as they would in the wild. Learn about each species as you read the exhibit signs which tell you about their history and biology. Not only does the Wildlife Center let you get closer to nature, it also lets you get closer to the family! After you and your loved ones have walked the trail and admired the beautiful owls, cougars, wolves, and other woodland creatures, you can stop at the picnic area and grill some lunch! Below the picnic area, you can cast a line and try to catch some bass, trout, and catfish. The visitor center has a lot to offer as well, including refreshments and souvenirs. An added bonus is the affordability of this great destination. A visit here won’t have to cost you more than $4 per person! Price: Admission is only $4 for adults, $2 for kids 6-15, and free for kids under 6! Pegasus Farm Campground is a quality West Virginia RV park that would make a great home base for anyone’s vacations. It’s located less than an hour from the West Virginia State Wildlife Center, and rates start at $32.50 per night. The amenities – including veggie and perennial gardens, a grass maze, and fishing pond – are phenomenal. In fact, they’re so phenomenal that this campground made it onto our list of the top 10 campgrounds and RV parks in West Virginia! This National Park is located where the Potomac and Shenandoah Rivers meet. The historic community of Harpers Ferry holds plenty of wonders to be discovered; you can visit museums, marvel at exhibits, and explore historic battlefields. Even just taking a leisurely walk down the streets is a treat, as the quaint community is a picturesque sight. One of the most popular reasons for a visit to the park, though, is the hiking trails. The National Park includes close to 4,000 acres across West Virginia, Maryland, and Virginia. The 20 miles of hiking trails in the park range in difficulty from beginner to experienced, so everyone can enjoy them. Walk along trickling riverbeds, home up scenic mountainsides, and march through historic battlegrounds. The beauty of the park is unforgettable, and your trip here will be unforgettable too! Price: There’s an entrance fee of $10 per vehicle. Harpers Ferry Campground is a perfect choice for people wanting to visit Harpers Ferry National Historical Park. A bathhouse, dumping station, and electricity and water hookups are offered. RV sites at this campground start at $69 dollars per night. Of course, there are plenty of great West Virginia RV parks so you can find your perfect match. West Virginia is famous for its local legend, the Mothman. Fans of the stories flock to the state to catch a glimpse of this supposed creature. Where is their first stop? The Mothman Museum, of course! 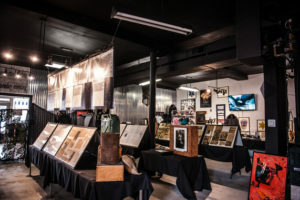 Press clippings, photographs, and historical documents have been collected over the years, all coming to this museum to let people explore the legends for themselves. Browse the collection of memorabilia from the movie “The Mothman Prophecies”, pose with the Mothman Statue outside of the museum, and read documents from people who claim to have seen the elusive Mothman. Whether you’re a believer in the unknown, or just enjoy tall tales, you’ll love a trip to this unique destination! Price: Admission is $3 for adults and $1 for kids! Another park that made it onto our top 10 list of camping spots is Pipestem RV Park & Campground. This fantastic campground is less than 45 minutes from the Mothman Museum and all that the town of Point Pleasant has to offer. 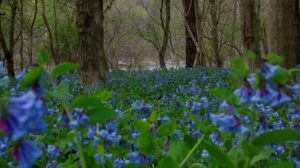 It’s also only a few minutes from the entrance to Pipestem State Park, where you can enjoy the natural beauty of West Virginia. Rates at this campground start at $30. This 25,000 square foot facility is the perfect place to take the science lover in your family. Visit the famous Green Bank Observatory telescope site, explore the exhibit hall, and take in the wonders of the stars! Join a guided tour to learn about the world of radio astronomy. Hands-on exhibits ensure you’ll have an exciting and interactive experience at the science center while teaching you all about the history of the Center as well as how radio science works. Then, head to the “Galaxy Gift Shop” to search for the perfect souvenir, and be sure to grab a bite to eat at the Starlight Cafe! The best part is, you can enjoy this educational experience free of charge! Price: Admission to the exhibit hall is free! Tours are available starting at $6 per person, with discounts available for seniors. There are RV spaces available at the observatory! Although, WiFi and cell service are not available due to the radios, and rates are not listed on their site. If you’d like a full-service campground, East Fork Campground is a great choice, with prices starting at only $21. Art, shopping, and fine food come together to form Tamarack, a unique cultural center that embodies the beauty of West Virginia. You’ll recognize Tamarack immediately by its fascinating architectural design; the peaked red roofs form a strikingly beautiful contrast against the landscaped greenery. Celebrate the trends and traditions of the state with the handmade artisan products in the shops here, from jewelry and furniture to music and books. 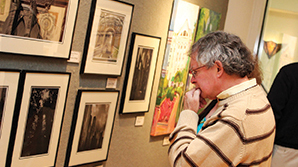 The fine arts gallery showcases stunning pieces from local artists, and there’s even a theater that puts on plays, dance performances, and more. You don’t have to settle for just admiring though, you can get in on the fun yourself! 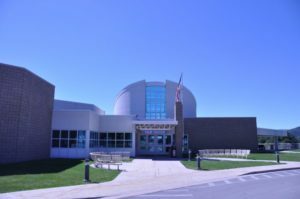 Hands-on classes are available, such as courses in pottery, woodworking, and culinary arts. Join the half a million people that visit this one-of-a-kind vacation destination annually, and discover what West Virginia is all about! Price: General admission is free! The city of Beckley has some fantastic choices for camping, one of which is Lake Stephens Campground & Marina. This campground is located on a 2,300-acre county park complete with mountain and lakefront views. Full hookup and pull-through RV sites are available, and it’s only fifteen minutes from Tamarack! Nightly rates start as low as $32, and they offer weekly and monthly rates as well. Get the true Appalachian experience with Heritage Farm Museum and Village, a living history museum that brings the past alive! This West Virginia treasure will add tons of fun to your RV trip itinerary while allowing you to learn and appreciate what the pioneer life means. And by combining a low price with all the different attractions offered, Heritage Farm makes sure you get the best bang for your buck! Speaking of the attractions offered, here’s a brief outline of some of the things to do! At the artisan center, you can view master craftsmen in their element – eight interactive studios house artisans such as woodworkers, potters, and weavers. The Petting Zoo is a favorite of little ones, where they can meet llamas, pigs, tortoises, and more farm animals. 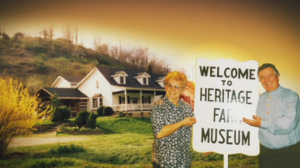 The eight different museums let you learn all about the different aspects of life in the Appalachian region. That’s just the tip of the iceberg though, there’s plenty more to be seen at this fantastic attraction! Price: Admission is $12 for adults, $10 for seniors, $8 for kids, and free for children under 3! Fox Fire KOA is once again a fantastic choice for camping! As mentioned before, rates average around $45 per night and include amenities such as WiFi, cable, full hookups, and plenty of entertainment. To make things even more convenient, you can pick up top quality RV rentals in West Virginia, right by the RV park! Underneath the city of Beckley, West Virginia is a hidden gem waiting to be explored by new travelers. 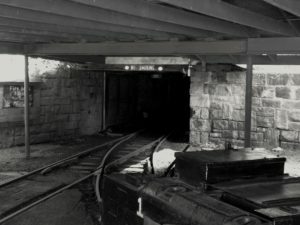 The Exhibition Coal Mine lets you delve into that world, which is comprised of a “drift mine” with a track that travels through numerous mined out areas. The guided trip through the dark tracks lasts about 35 minutes and lets visitors learn all about mining methods and tools directly from veteran miners who speak from experience. It’s suggested that you bring a jacket on the tour, as the mine is a constant 58 degrees Fahrenheit year round. Traveling in the underground tunnels isn’t all there is to do, though. 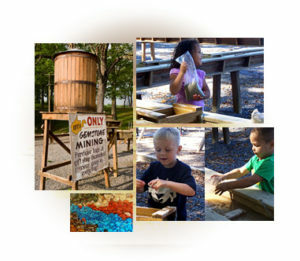 You can also head on over to the recreated coal camp, youth museum, and picnic area with picturesque landscaping. Price: $20 for adults, $15 for seniors, and $12 for kids. Group rates are available. The best part about visiting the coal mine is that you don’t have to leave! The Beckley Exhibition Coal Mine Campground has seventeen paved, back-in RV sites available for the low rate of $25 per night. 30-amp power, sewer, and water capabilities come with each site, so you’ll have nothing to worry about! You can just relax and enjoy our vacation! If you want your family to be able to brag about taking one of the best RV trips ever, you’ve got to take them to Seneca Caverns in Riverton, West Virginia. This underground treasure was formed over 460 million years ago when the limestone bed of the caverns was laid. The caverns were inhabited as early as the 1400’s by the Seneca Indians, who used them as a home and for special ceremonies. Today, the marvelous caves are open to the public for tours. These tours usually last about an hour. You and your family can delve into the world hidden beneath the ground, and experience the striking geological formations as you head 165 feet below the entrance. Price: The Seneca Cavern Tour is $14 for adults, $9 for kids, and free for children four and under. Discounts are available for group tours, AAA, senior, and military. To really take advantage of the caverns, you can stay at Seneca Shadows Campground – it’s less than five minutes away! On top of the convenient location, this campground also provides clean showers, flush toilets, campfire rings, electric hookups, and firewood for sale. Rates start at $22 per night. We’ll round out our list with the perfect summer attraction, a water park! Water Ways is the perfect way to enjoy the sunshine, and you can do so whether you want a thrilling adventure or just want to relax. If you’re looking for the latter, feel free to lounge in the pool or float down the lazy river. If you’re looking for something a little more high speed, though, you’ll want to head to the slides! Even little ones can have a blast at “Kiddy Island”, where there are slides, swings, and a water umbrella all designed with them in mind. What if you’d rather stay dry? There’s a mini-golf course that’s free with admission! Price: General admission is $12. It even includes unlimited mini golf! 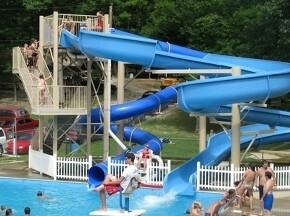 Little Coal River Campground is the place to stay for a vacation at Water Ways. Not only is it close to the water park, it also offers full hookup RV sites and an air-conditioned and heated bathhouse. The rates aren’t too shabby either! At only $27 a night, it’s a steal! West Virginia has a little something for everyone, as this list has made evident. Whether you like to enjoy the outdoors, explore history, or just have a blast riding roller coasters with your family, you can do it all in this wonderful state! We hope that this free West Virginia RV travel guide will make your trip even better. With that being said, hit the road and enjoy your travels in the stunning Mountain State!